Cluster Shared Volume 'Volume1' ('CSV Volume name') has identified one or more active filter drivers on this device stack that could interfere with CSV operations. I/O access will be redirected to the storage device over the network through another Cluster node. This may result in degraded performance. Please contact the filter driver vendor to verify interoperability with Cluster Shared Volumes. Reboot the system after removal and the CSV is no longer re-directed. I have tried using "robocopy" and even Windows backup to transfer roaming user profiles (RUP). There would be surely files that I couldn't move due to file permission and ownership preservation. In WS2012, there is a built-in Windows Server Migration Tool (WSMT) to facilitate the file transfer (including server roles). Install WSMT feature using server manager on the target WS2012 server. You may want to observe any errors at the progression update on the command prompt. For end devices that are 802.1x compliant, RADIUS authentication on them would be performed using either username/password or certificate. What about devices that aren't 802.1x compliant, such as network printers? The next best authentication on them would be MAC based. MAC based authentication aren't as secure, as MAC addresses can be easily spoofed. Cisco called this "MAC Authentication Bypass" (MAB) while Microsoft called this "MAC Address Authorization". How can we make Cisco MAB works with Microsoft NPS server? On Cisco switches, assuming that the usual dot1x configuration are already in-place, you'll just need to add the command "mab" on every 802.1x enabled switch port connecting to end-devices. On Microsoft NAP server, add another new connection request policy and enable PAP authentication. This new PAP policy should be placed after the main 802.1x policy, so that the 802.1x compliant devices can get authenticated in a more secure way first. As Cisco switches uniquely identify MAB requests by setting Attribute 6 (Service-Type) to 10 (Call-Check) in a MAB Access-Request message, add this condition to the MAC connection request policy. 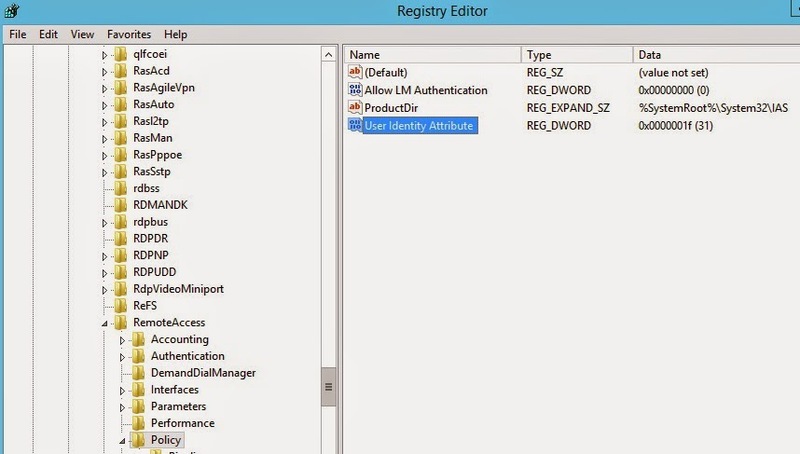 Set the User Identity Attribute registry value to 31 on the NPS server. This registry value location is: HKLM\SYSTEM\CurrentControlSet\Services\RemoteAccess\Policy. If it doesn't exist, create a new DWORD value. The new user account must be named (all lower case with no space or dash) exactly as the connecting MAC address for each non-802.1x device e.g. aa00bb11ccddeeff format. Its password must also be set as the same as MAC address. Hence, creating such accounts might fail due to domain-based complex password policy. The good news is we can use Fine-grained Password Policy to overcome it. Connect a non-802.1x device and test. Observe the outcome on the event viewer of the NPS server. Take note of any errors and troubleshoot accordingly. SQL AlwaysOn is a new feature in MS SQL 2012 that supports SQL cluster without the need of a shared storage. The primary node will host the database file in its local storage and sync with the other standby copy in the secondary node. Since SCVMM 2012 supports this feature for HA, I followed this Technet blog for guidance. I installed SQL server as standalone on each node using default values. The objective is to create an Availability Listener object for VMM to connect to the new database. I managed to follow through until the last step to replicate the test database failed. After searching through the Internet, I realized that it's not correct to use default mode for SQL HA. 1) Always use domain-based managed service account for SQL instance (don't leave it to Network service). 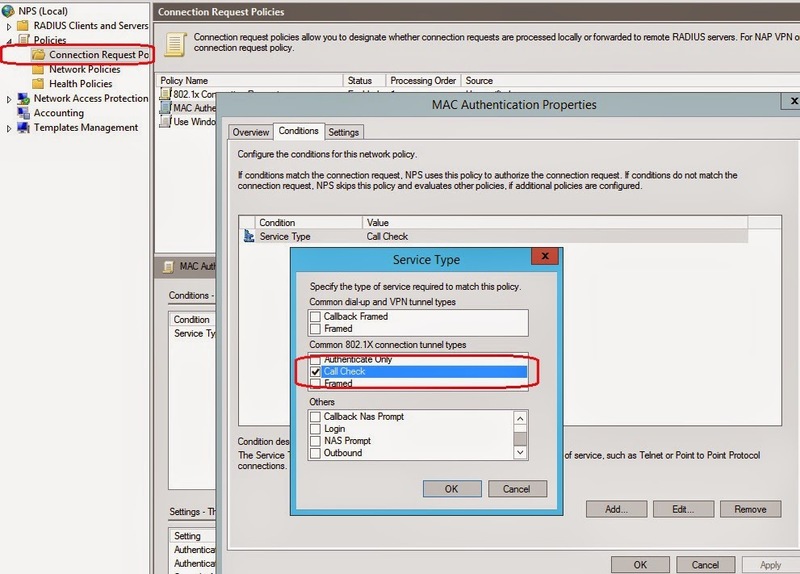 2) Ensure the service account has access right to the end-point listener. 3) After creating the new availability group successfully, check that the TestDB synchronization state on both nodes are "synchronized" (not "synchronizing" or "not synchronized"). Right click on the AG and click "Show Dashboard". 4) If they are not synchronized, click on "Properties" of the AG. Change all availability mode to "Synchronous Commit". Test the failover manually.